Defense attorney Dismas Hardy returns to defend a close friend against murder charges in New York Times bestselling author John Lescroart’s most suspenseful and intricately plotted novel to date. Brittany McGuire is the beautiful, twenty-three-year-old daughter of Susan Weiss and Moses McGuire—and the niece of defense attorney Dismas Hardy. Popular and pretty, Brittany has always moved easily from one boyfriend to the next, but her most recent ex, a young man named Rick Jessup, can’t seem to get over her. His abuse escalates, culminating in a terrible night when Brittany is raped. Within twenty-four hours, Rick Jessup is dead, Moses McGuire is the prime suspect in the investigation, and Dismas Hardy has been hired to defend his old friend. Making things even more complicated, this case threatens to bring to light old secrets that could destroy the careers of Hardy and police lieutenant Abe Glitsky. As the overwhelming evidence against Moses piles up, Dismas Hardy focuses on planting doubt in the minds of the jurors—until, in a feat of legal ingenuity that is staggering in both its implications and its simplicity, Hardy sees a new way forward that might just save them all. But at what price? 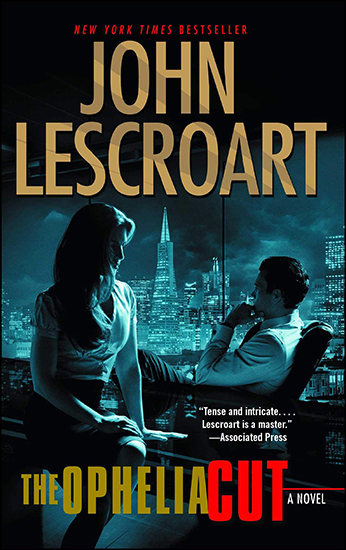 For the first time since 2009, the author’s most popular protagonist returns in a masterful novel that bears all the hallmarks of John Lescroart’s extraordinary storytelling gifts: a cast of flesh-and-blood characters, morally complex situations with no easy answers, and—of course—relentless, nail-biting suspense that will leave you breathless.